In the age of software, our contexts demand a design that both straddles and incorporates the physical and the intangible. Where it is one thing to create products with curves of well judged gradients forcing cultural reminiscence of pebbly beaches, or balanced colour schemes with the ubiquitous subtle ombres, if it is incapable of being a part of our context by providing a continuous and secure service then as a designed object – be it service, software or hardware – it has failed. For those with a bent to the theoretical, design has always been at this intersection. If we think about techne as a means of revelation and apply it to technology as a designed product, then yes, the designed object serves to reveal a culture’s deeply held beliefs and unspoken assumptions. As such it has always been the place where we encounter the intangible. What is slightly different is that in our day and age there is a new set of intangibles that needs to be considered. These intangibles, formed by the interactions between ethereal drones repeatedly parsing data and queries, described in lines of code originating from the mathematical encoding of perceived realities, already have – for all their relative lack of sophistication – encroached upon and imbibed existing kyriarchal structures within their originating society. Confronted with the complexity of the context for which we design, it is right and understandable to seek out precedents both from the past and from other disciplines, whether from Graphic Design or Architecture. From critical theory to participatory design; from gender mainstreaming to co-ideation practice, there are a plethora of radical design approaches that those of us working in the intersection of hardware, software and service can look to. One such precedent is that of the Black Arts Movement, a movement that embodied the reimagining of art discourse, paradigms and values in order to provide art that both enabled survival within and challenged white supremacist society. Although occupied by a range of diverging artists and ideologically nuanced undercurrents, a central tenet was the necessity for Black People (originally in the American context but equally applicable to those of us living in other white dominated societies) to define the world on our own terms. Borne out of the realities of social inequality and oppression as a means of fighting back and living – not just surviving, as I earlier wrote – what does this say to us as we awaken to ever more rampant digital colonisation that exists not only along existing global structures of inequality, but also as a blandly oppressive agent profiting off data it withdraws in exchange for often misaligned, or, I daresay, inadequate services? Actually, do I need to dare? Or can I state that with some confidence? What good, after all, is a social network that cannot recognise different authenticities, nor prevent the spread of false information and hate speech targeted at vulnerable members of that very network? If the hallmark of a complex system is continuously self-evolving, unpredictable behaviour often generated by the intersection of individually simple and linear rules, then our approach to design requires a similar fluidity; our own processes must be able to incorporate some of this unpredictability in order to withstand the stresses they will encounter as creation occurs. Already, Design Thinking methodology theory, probably the best known established mode of chaos-resistant dynamic design methodologies, has become almost mundane, quoted as it is now by many product and project managers within the industry. However, I think there is still something we are missing, a something we might only reach if we apply this design-thinking process of continually self-evaluating, testing and redesigning our way of thinking about what design is, and the relative positioning of the designer as creator, and user as object. What then might it mean to demand an aesthetic of resistance? What might it mean to create a design practice of resistance? Central to the most radical ideas within design has been the importance of centring the user and decentering the designer. Whether it is revealing the true nature of their relationships to designed objects, or working directly with users to create solutions, there might be no one answer to the questions I’ve posed, but they will certainly involve a rethinking, a restructuring of the boundaries between designer and user. However, in a world where the humble bot can declare one non-human depending on one’s melanation, or happily chide those of us blessed with epicanthal folds to open our eyes wider  and perhaps even (though this was probably more a case of hype trumping honest reporting) attempt to report us as gender traitors , I would posit that a different kind of imaginating is required in the mix. Much of design theory, and even practice, has its origins in academes and industries that gave birth to and were afforded by modern capitalism, originally propped up by colonialist conquest and competition. Even the best, most radical of precedents needs to be looked at with a critical eye, considering they were part of an historical context that has helped birth our current environmental and social crises. 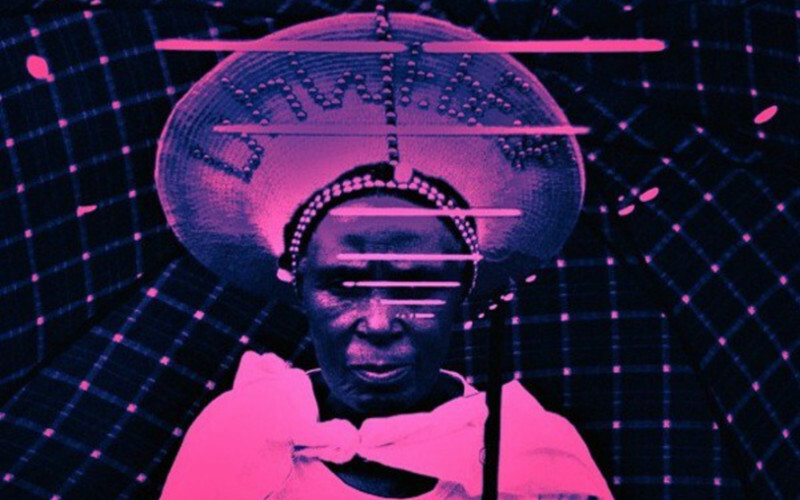 This is where the aesthetic philosophy that is AfroFuturism provides a powerful standpoint, because it is by nature incredibly liminal, chaotic, messy, radical and inspiring. Liminal, because it places the black body at the heart of futurist speculation, a place where the black body is often ignored if not seen as outright alien; chaotic because no one quite knows what it is – an aesthetic? A sub-genre of fiction? A political framework for a hyper dimensional pan-Africanism? Messy because it does not shame and does not police who might declare themself a proponent, from the tumblr SJWs and ombre-haired black hipsters who might call on Orishas and Mother Isis in the same breath, to the tenured academic and radical activist. Radical because in its futurism it dares to fully embrace Africanity, drawing inspiration from the cultures of humanity’s home continent that have so often been castigated as backwards and stunted whilst calling on us to imagine totally new ways of living, without having to pretend that glittering chess-playing AI will make racism, misogyny, transphobia, homophobia, classism etc. disappear. Although I continually ask myself what a design practice of resistance could possibly mean in our complex and massively connected technological and social environment, it is in this erstwhile movement that so readily encompasses these tensions and variabilities, that I’ve found anything approaching a response. After all, ultimately, what is required to create this aesthetic practice is one that embraces liminality and intersections, one that can incorporate and thus tolerate chaos and entropy; one that can be as messy and borderless as the context demands, radical in its willingness to dream ecstatically yet also intermingled with mundanity and gimlet-eyed practicality. It seems that only a design framework inspired by such a practice can produce the aesthetic of resistance that our context is crying out for. 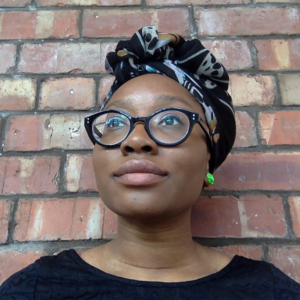 Florence Okoye is a User Experience Designer at the Natural History Museum, London. She is interested in the application of design thinking as praxis for engineering complex systems as well as pervasive computing as a tool for social justice. Since 2015 she has curated the annual AfroFutures_UK conference, exploring AfroFuturism and the intersection of race and technology, with a particular focus on how technology can impact the reimagining of the black identity. She is a design facilitator with community engagement projects via Spaghetti Jams which aims to spread awareness about design thinking both as a methodology for self-empowerment and addressing local issues.